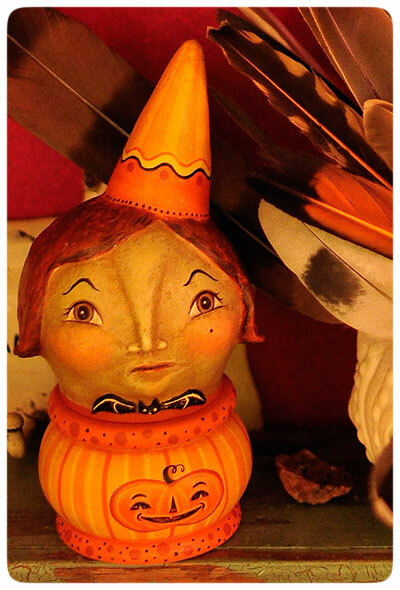 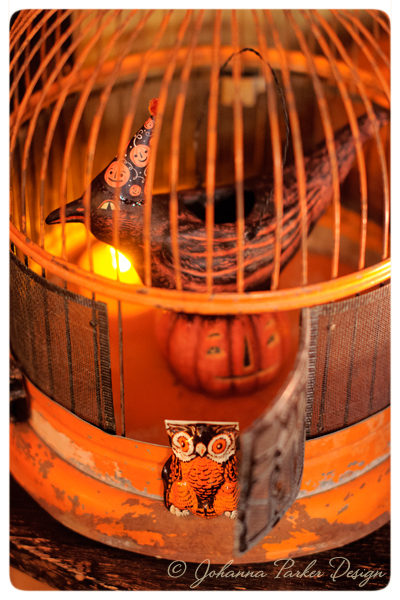 * Here is "Wise ol' Owlexander" from my 2009 collection of Halloween originals. 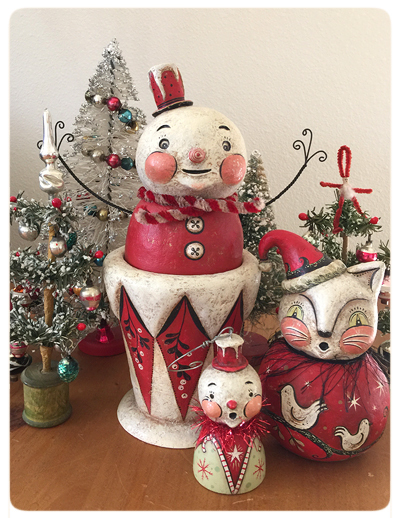 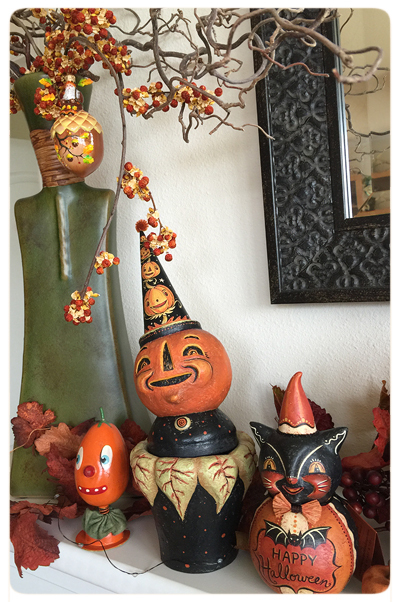 I actually kept a few for myself this year so that I can enjoy their company. 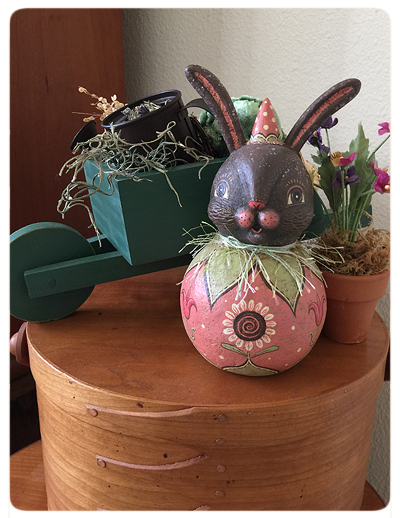 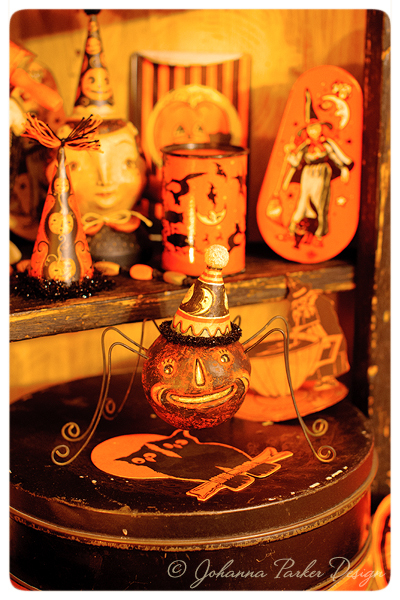 This guy rests atop a stack of vintage black candy tins and is the focal point of my Halloween mantel display. 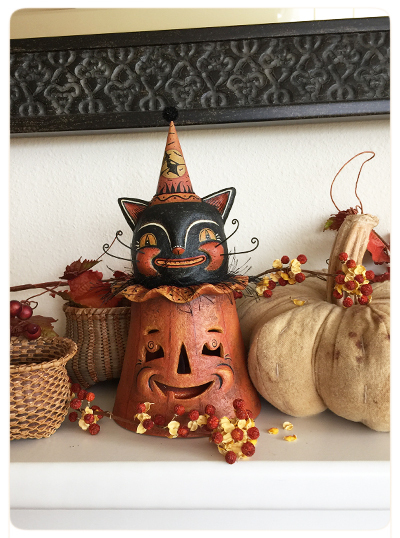 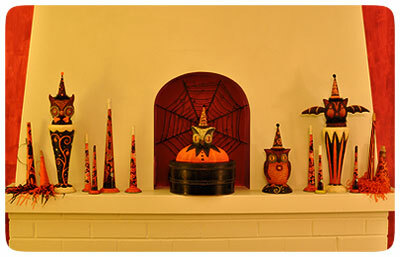 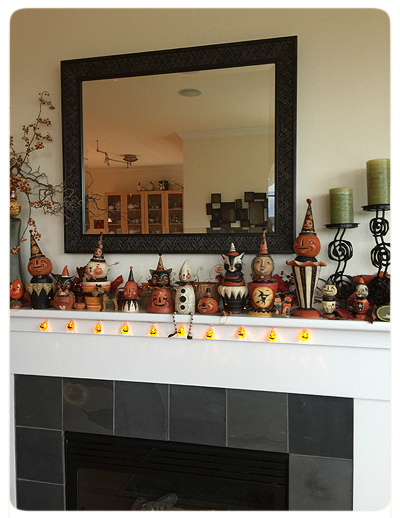 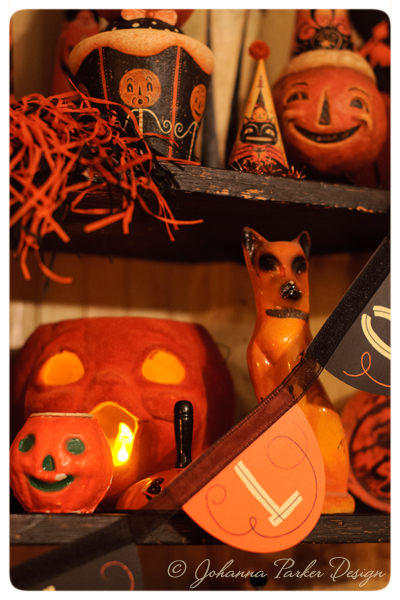 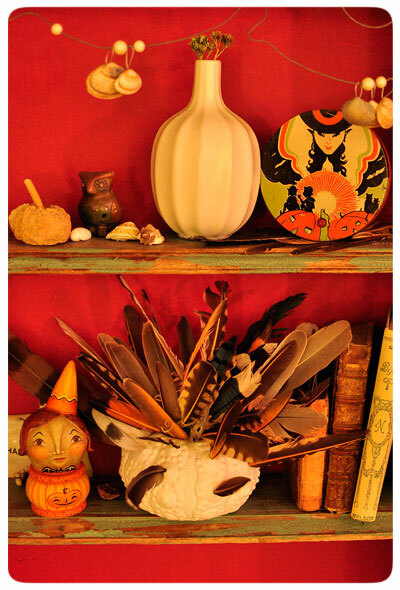 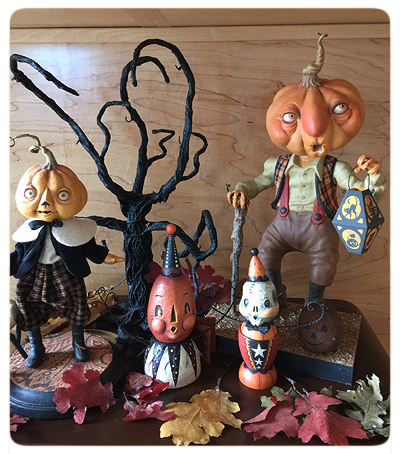 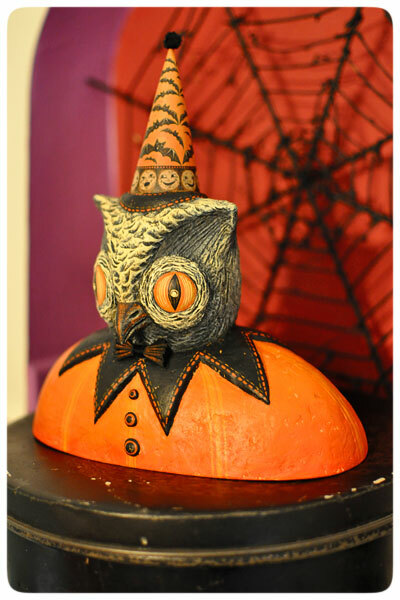 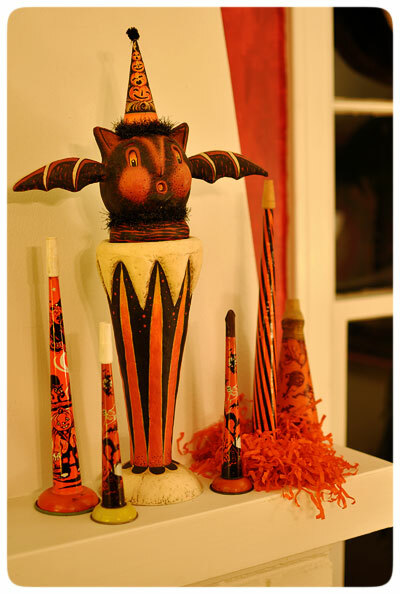 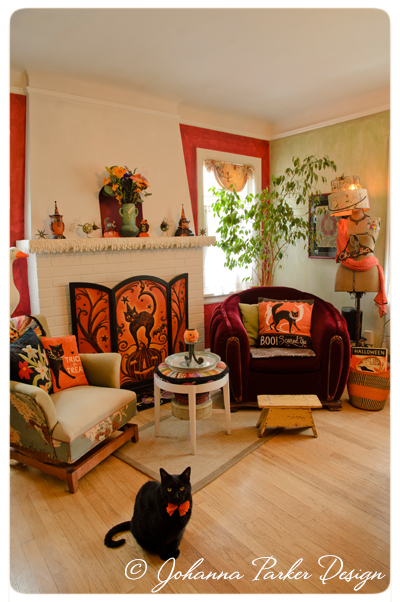 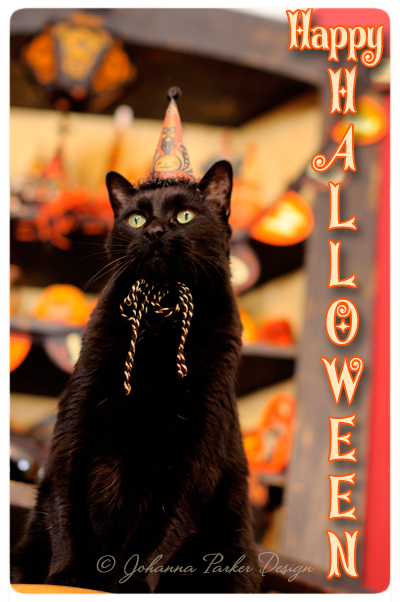 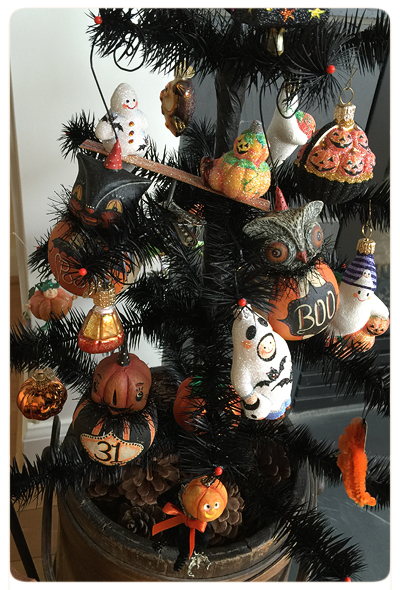 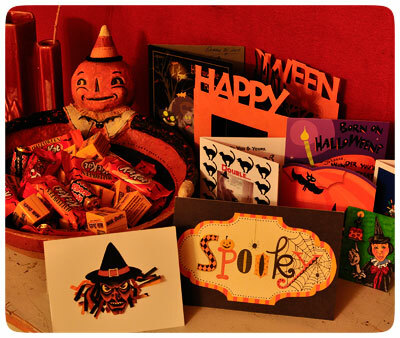 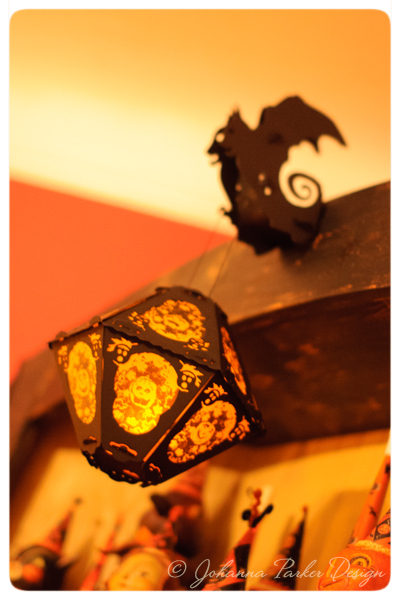 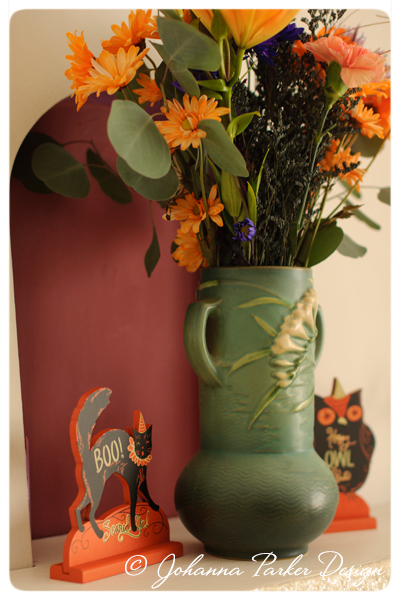 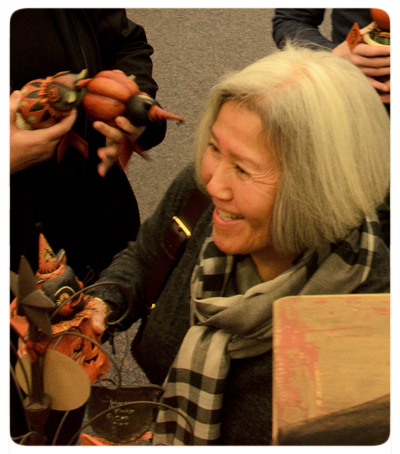 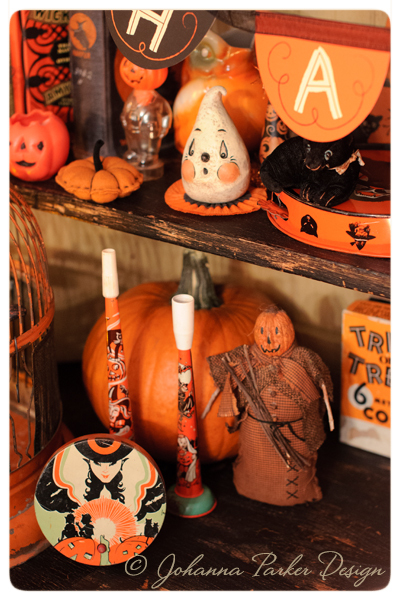 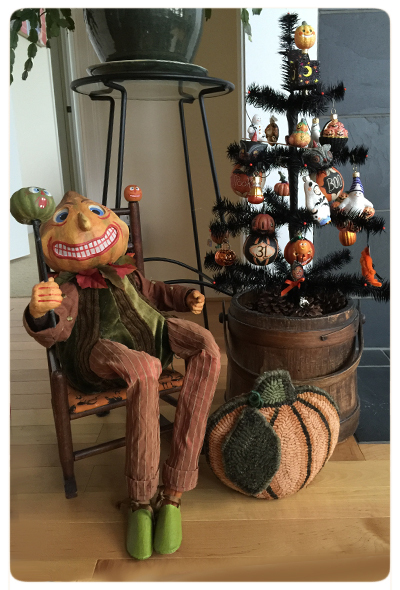 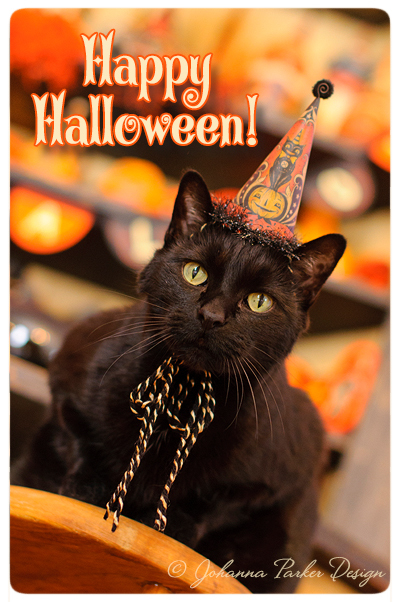 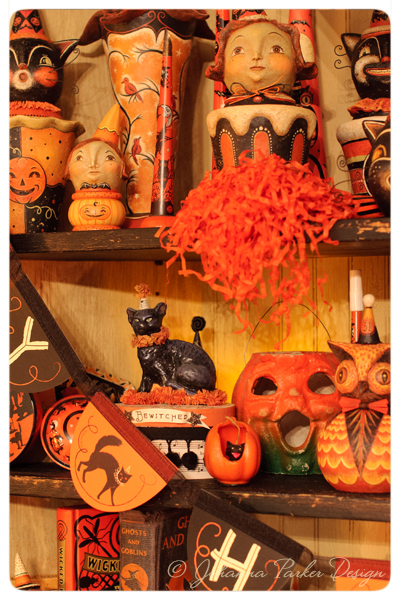 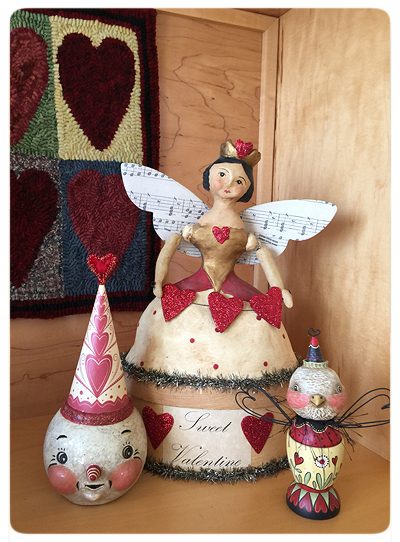 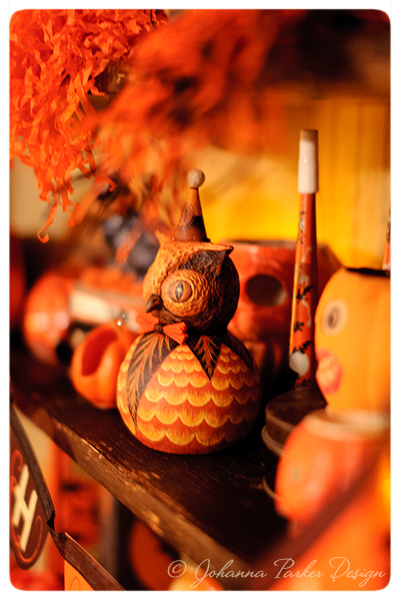 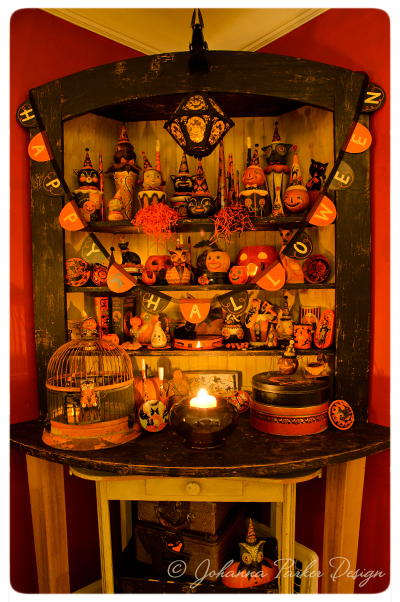 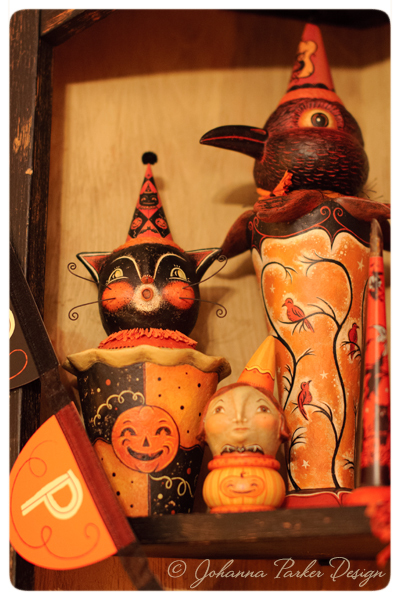 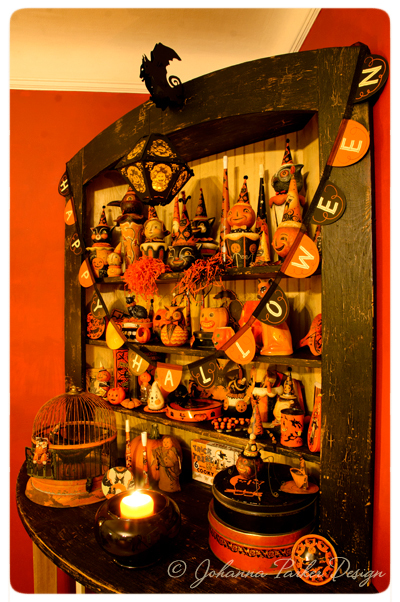 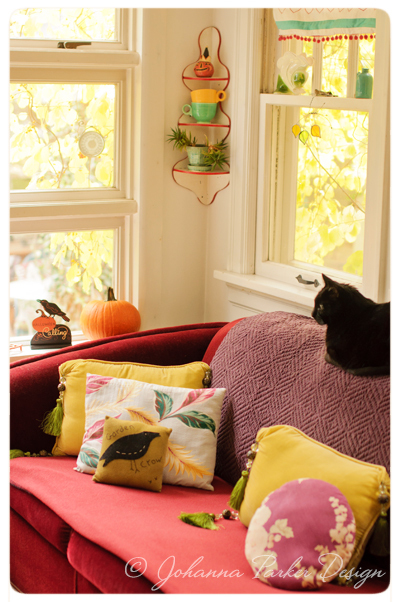 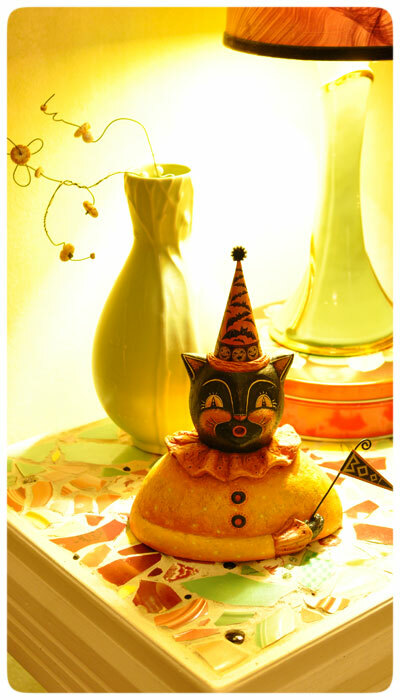 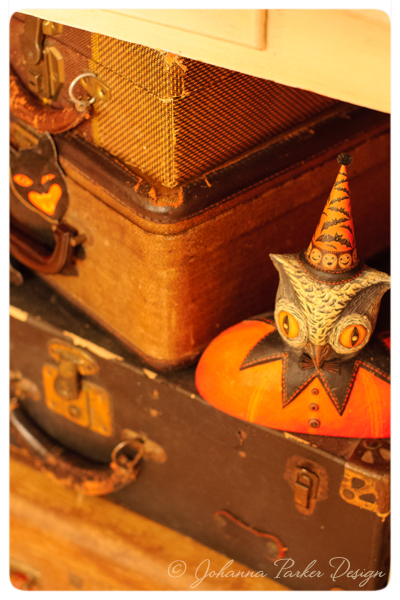 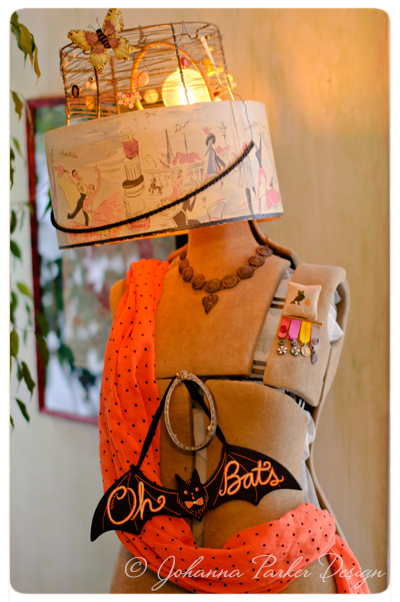 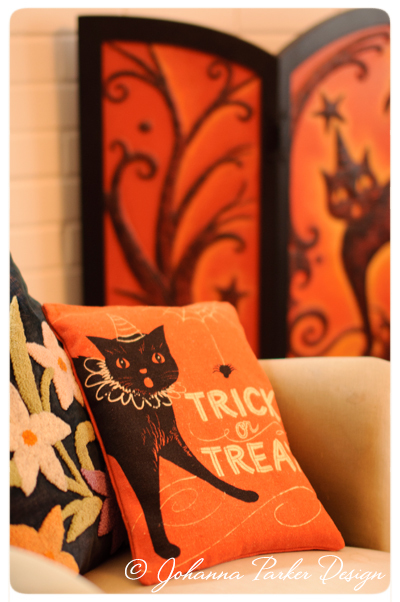 * A warm, eerie glow casts across the mantel which displays a parade of Halloween delights. 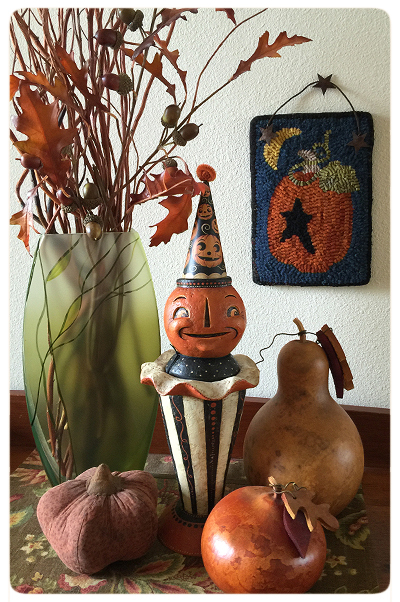 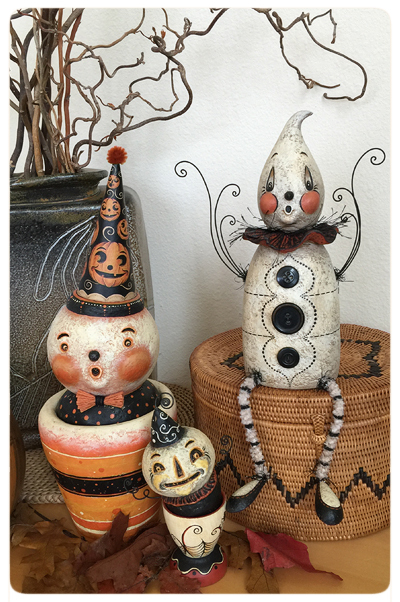 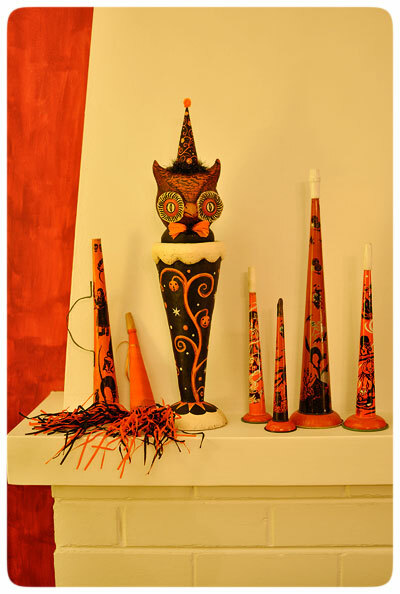 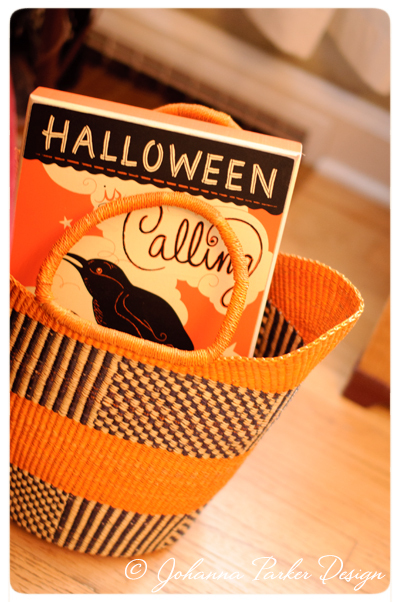 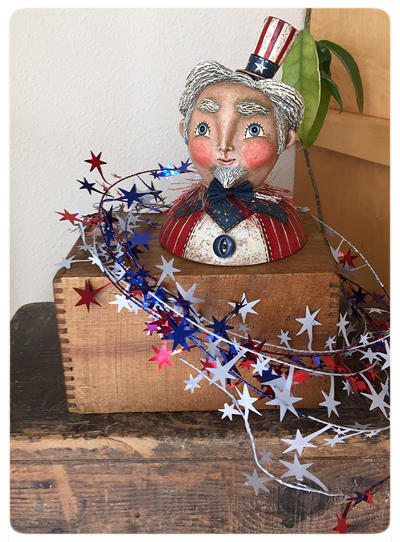 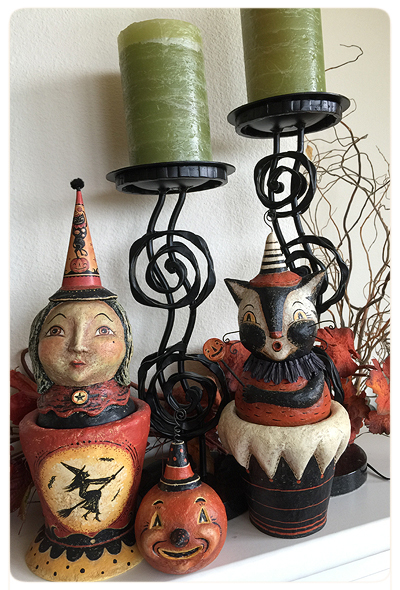 Vintage tin party horns gifted to me from treasured friends add a glimpse into Halloween's past and make the perfect companions to my Halloween folk art creations.